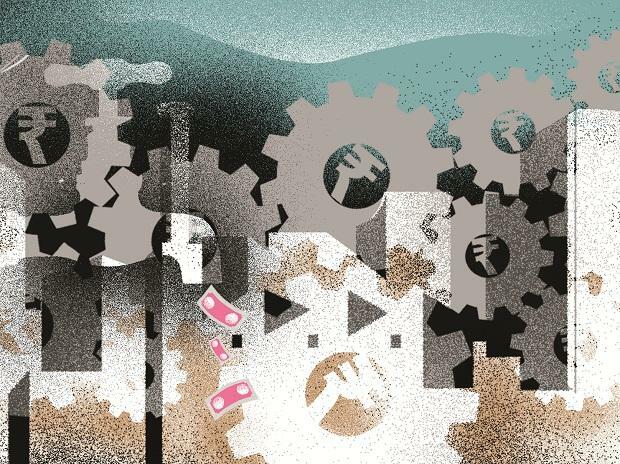 Signalling an end to the liquidity crisis that NBFCs have been facing since last September, corporate bond issuances by them have risen by 30 per cent in January, reflecting renewed confidence among both issuers as well as investors, says a report. It can be noted that non-banking finance companies or NBFCs are the biggest issuers of debt in the corporate bond market, controlling nearly 90 per cent of the volume. With the 30 per cent spike in fresh issuances in January, their share has clawed backed to the near normal levels to 82.2 per cent of the volume. Shadow bankers depend on the bond market to raise short -term capital for on-lending, and they go to banks for long-term finance. In the previous seven months, amidst the challenging liquidity constraints faced by the sector following the IL&FS bankruptcy, the corporate bond issuances on a monthly basis has seen falling. Fresh corporate bond issuances by NBFCs saw a notable decline from 71.6 per cent (of the total flow) in July 2018 to 64.6 per cent in August 2018. Between September and November 2018, issuances rose each month rising to almost 80 per cent in November 2018. But the liquidity challenges deepened in December as bond sales by NBFCs plunged almost 30 per cent. "The first month of 2019 has seen an uptick again with share of corporate bond issuances by NBFCs rising by 30 per cent to touch 82.2 per cent, reflecting renewed confidence among issuers and investors," a report by Care Ratings said. But the HFCs continue to lag and the share of fresh issuances by housing finance companies plunged deeper from 10.1 per cent in July 2018 to a trickle of 2.5 per cent in December 2018. But the share has almost doubled on a month-on-month basis from 2.5 per cent in December 2018 to 5.2 per cent in January 2019, the report said. In terms of funds raised through commercial papers, the share has seen a significant decline among NBFCs to the tune of 14.1 per cent between July 2018 and January 2019 while that of HFCs declined 12.1 per cent, the report said.